food or water, the radioactive elements in them build up in your body, and slowly damage and destroy your DNA and tissues. Once the damage is bad enough, you get sick, and your doctor has some really bad news. 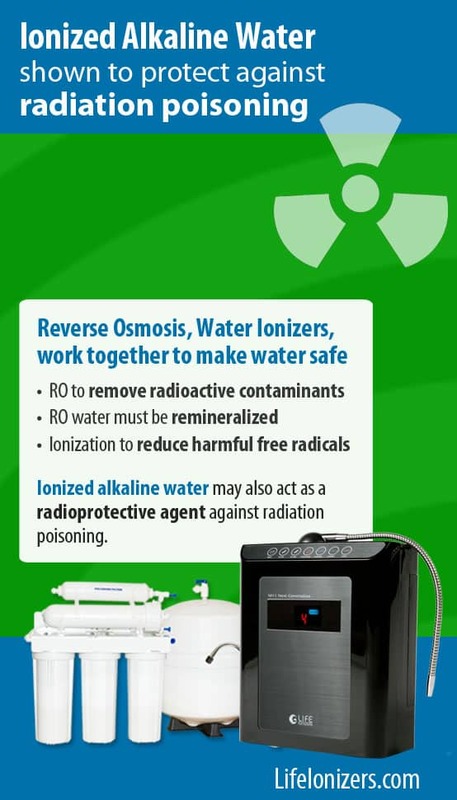 But research suggests that there may be a way to protect yourself from radiation poisoning: With the right filters, a water ionizer can filter out toxic radioactive elements in your water and the ionized alkaline water it makes may reduce or even prevent the oxidation that radiation poisoning causes. Reverse osmosis to remove radioactive contaminants: The EPA recommends using Reverse Osmosis (RO) to filter out radioactive contaminants. RO removes over 99% of all contaminants in water, leaving nearly pure water. What RO doesn’t take out of water is the damage that radiation does to water molecules, which is the result of a process called water radiolysis. Radiation oxidizes water molecules, it turns them into harmful free radicals and Reactive Oxygen Species (ROS) by stripping electrons from the molecules. If you drink water that has these free radicals and ROS in it, those particles will damage and destroy DNA and tissues. In essence, radiation damages water molecules, and that damage remains even after you filter water of the radioactive pollutants. Remineralization to prepare the water for ionization: Before it can be ionized, RO water must be remineralized because you can’t ionize pure water. 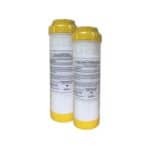 A remineralization cartridge puts calcium and magnesium into RO water. 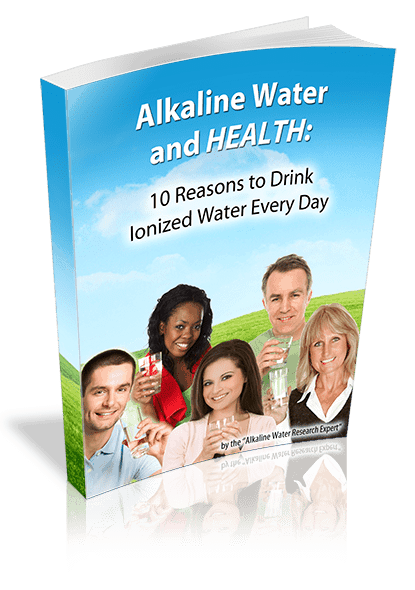 A water ionizer acts upon those minerals when it makes ionized alkaline water. 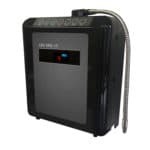 Ionization to reduce harmful free radicals and ROS: A water ionizer neutralizes the free radicals and ROS created in water by water radiolysis by restoring the lost electrons. Free radicals and ROS are both hungry for electrons. The way they damage and destroy DNA and tissues is by stripping electrons from them. The Ionized alkaline water made by a water ionizer is rich in excess electrons. Those excess electrons combine with the harmful free radicals and ROS in irradiated water, and turn them back into ordinary water molecules. When those harmful particles are treated by a water ionizer, they are considered to be chemically reduced. In chemistry, what that means is, their ability to cause harmful oxidation has been reduced. But a water ionizer actually does more than just reduce water’s harmful oxidation potential, it reverses it. This reversal turns the water from an oxidant into an antioxidant with the potential to reduce harmful oxidants in your body. Proper filtration and alkaline ionization can make water safe and healthy to drink, but what about the radiation poisoning from radioactive food and drink that you’ve already consumed? 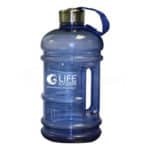 Research suggests strongly that Ionized alkaline water could act as a radioprotective agent in the body. Radiation poisoning causes massive amounts of DNA and cellular oxidation in the body because it floods the body with free radicals and ROS. The antioxidant potential of ionized alkaline water acts to break down those harmful oxidants. The fact that ionized alkaline water shows potential to protect from radiation poisoning has long been known thanks to research done in the USSR called the Chelyabinsk Project. It was a project conducted in the USSR to determine if ionized water could remove radiation from the body, and it did! This fundamental and potentially life-saving research has gone almost entirely unrecognized until now. Hamasaki, T., and Et. Al. “Removal Efficiency of Radioactive Cesium and Iodine Ions by a Flow-Type Apparatus Designed for Electrochemically Reduced Water Production.” PLOS ONE. Plos.or, 16 July 2014. Web. 08 Feb. 2016. <http://journals.plos.org/plosone/article?id=10.1371/journal.pone.0102218>. PrevPreviousAre you at risk with Lead Contaminated Drinking Water?